Home // My Practice // Nitin N. Bhatia, M.D. Dr. Bhatia graduated with honors from Stanford University, after which he attended Baylor College of Medicine in Houston, Texas. During medical school, Dr. Bhatia won numerous research awards and was the valedictorian of his graduating class. Following his Orthopedic surgery residency at UCLA, Dr. Bhatia completed a spine surgery fellowship at the University of Miami and Jackson Memorial Hospital, after which he completed a second spine surgery fellowship at Miami Children’s Hospital. Dr. Bhatia is active in multiple research projects including federally funded spinal cord injury research and has been nominated for the prestigious Russell Hibbs research award by the Scoliosis Research Society. His research has also won awards from the Cervical Spine Research Society (CSRS), the Western Orthopaedic Association (WOA), and the American College of Spine Surgery. Dr. Bhatia has been featured as a treating surgeon in the television show "Guardian Angels, MD" seen nationwide on The Learning Channel (TLC) as well as programs on PBS. His amazing surgical results have been featured in Sports Illustrated, Time, the Orange County Register, and on Fox Sports and the Bill Handel radio show on KFI. As Chief of Spinal Surgery at a major university in southern California, Dr. Bhatia has expertise in all areas of neck and back pathology including spinal stenosis, disc herniations, spine trauma, scoliosis, complex cervical and lumbar reconstruction, and failed back syndrome. Dr. Bhatia has completed multiple spine surgery fellowships and is one of a rare group of surgeons who have training in both orthopaedic and neurosurgical techniques. Dr. Bhatia is a member of multiple international and national spine related organizations including the North American Spine Society. Dr. Bhatia is the only academic surgeon in Orange County to be selected for the exclusive Cervical Spine Research Society which has granted admission to less than 20 physicians in the state of California! He is also one of an elite group of surgeons who are members of both the CSRS and the Scoliosis Research Society (SRS). As an international leader in spine surgery, Dr. Bhatia frequently gives lectures and runs meetings for other surgeons in order to teach his advanced techniques. He has been selected to run instructional lectures and symposia for multiple international organizations including the American Academy of Orthopaedic Surgery (AAOS) and the American Society of Mechanical Engineering (ASME). 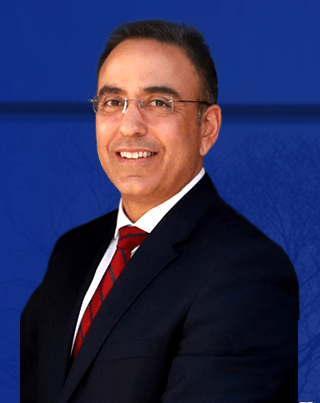 Even though Dr. Bhatia is a world-recognized leader in spinal surgery, he provides individualized, conservative, and compassionate care for all of his patients.